Details are a bit sketchy on this, but one thing we know for sure – The Simpsons x Converse Chuck Taylor All Star Hi will be landing this month somewhere. That’s the good news. However, so far it’s only been announced for Japan and in terms of sizing, it looks like older kids only. So no small ones, which seems like an opportunity missed. 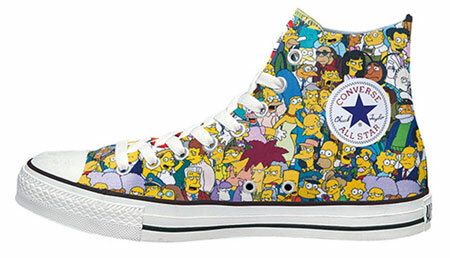 But if you have a Simpsons-loving teen in the family, you might well be able to secure a classic Converse packed with the cast of the classic US animation. It just might mean a trip to Japan to get a pair. Anyway, keep an eye on the Converse website this month in case they make it to the UK.